This post is sponsored by Canvas. However, all thoughts and opinions are 100% my own. 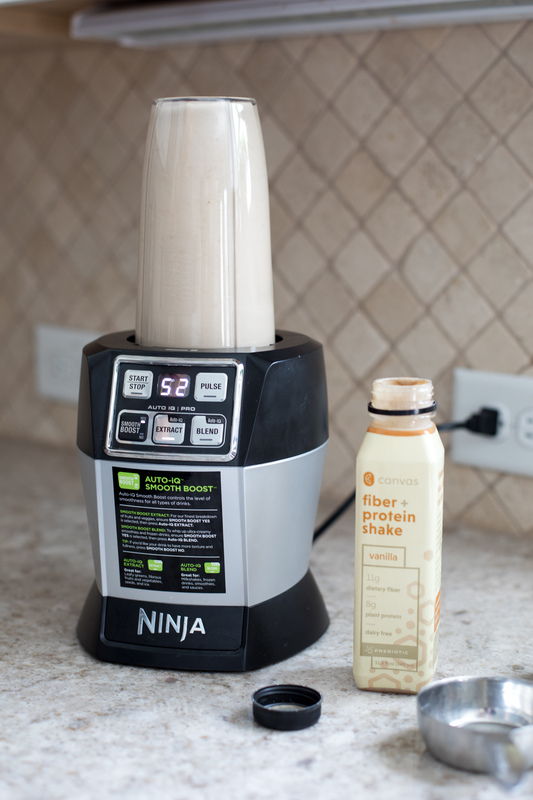 I know I’m no food blogger, but I will say I have learned to make a killer AND easy vanilla almond protein shake. 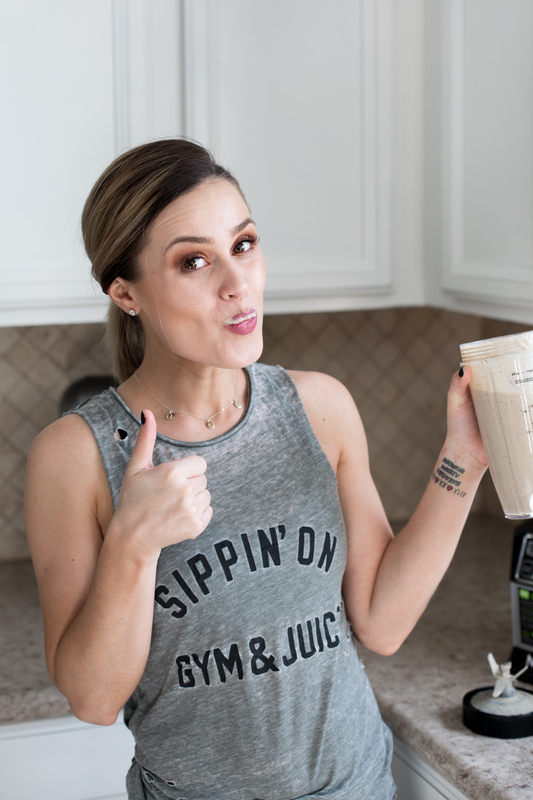 Over the past month with me doing the slim-down, I’ve been paying attention to what I am eating and making sure I am feeding my body GOOD food. This slim down has been challenging and eye-opening at the same time. And I have learned A LOT about food, ingredients, what is good, and what is not. ^^ this is all you need. 1 full bottle of Canvas Fiber + Protein Shake. 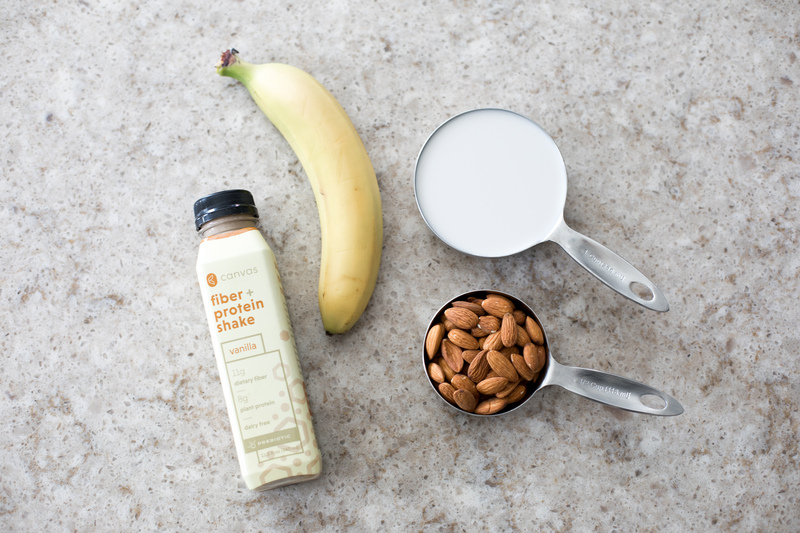 Throw it all together and blend! A personal friend introduced me to Canvas a few weeks ago, and I was immediately intrigued. 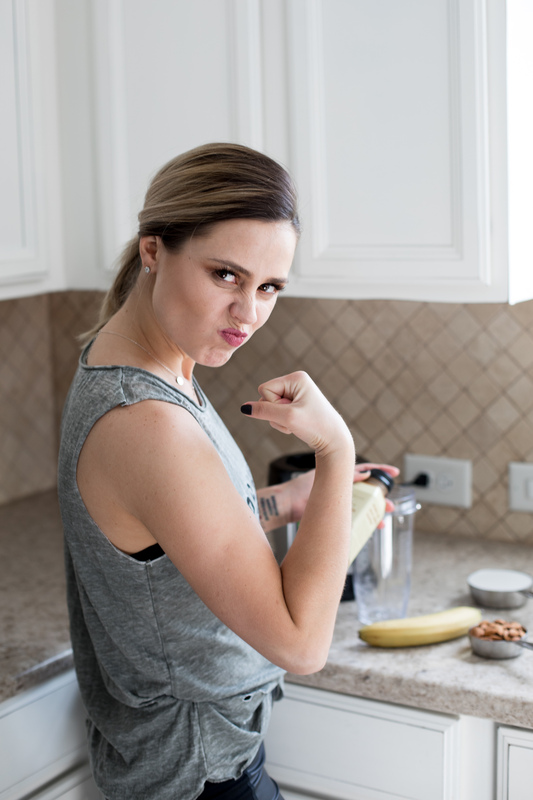 There has been a lot of talk about your gut, and how it does more than just processing the food you eat. Note- I am no health expert, and I HIGHLY recommend you to do your research and talk to your doctor! Canvas has an excellent article here with great information and insight. As a busy mom of 3, as sad it is to say; sometimes I don’t have time just to sit and eat lunch or breakfast. This is why I have started to make more protein shakes for when I’m on the go. Funny thing is they have kicked out a lot of cravings and bad habits to the curb for me. 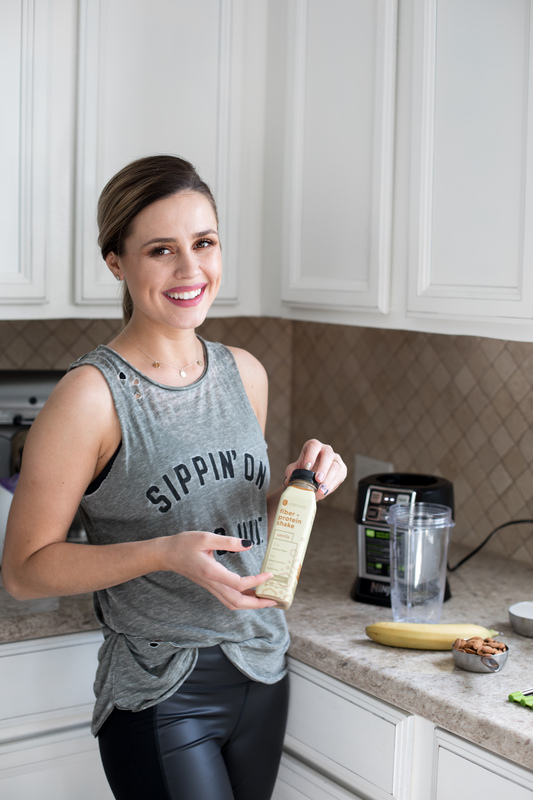 Each bottle of Canvas contains 11 grams of fiber, 8 grams of complete plant protein, and energizing MCTs (from coconut). 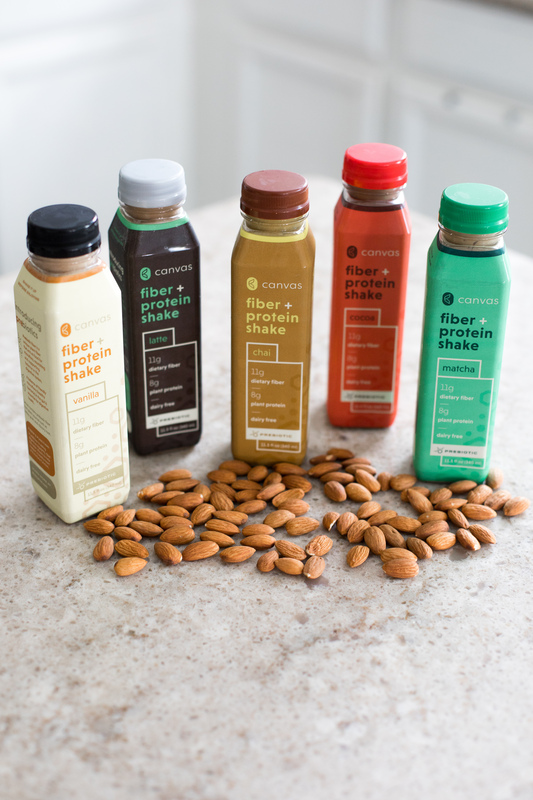 Canvas shakes are made from premium ingredients like barley, coconut, cashew, and herbs and spices (like turmeric). They’re sweetened only with coconut, contain no artificial ingredients, are dairy free, soy free, 100% plant-based, and make for a perfect breakfast or mini meal on-the-go. Each Canvas bottle is packed with prebiotic fiber to help promote balance and vitality in the gut by feeding the good bacteria (probiotics). 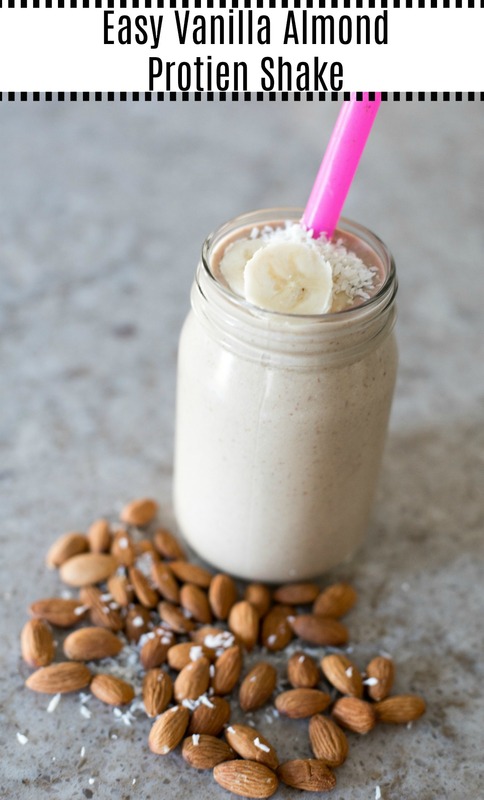 Since I’m on this big health kick, I wanted to share a very simple and easy vanilla almond protein shake. It’s only four ingredients, and it is SO, SO good. Again, perfect for us mama’s who are trying to juggle life and our kiddos. 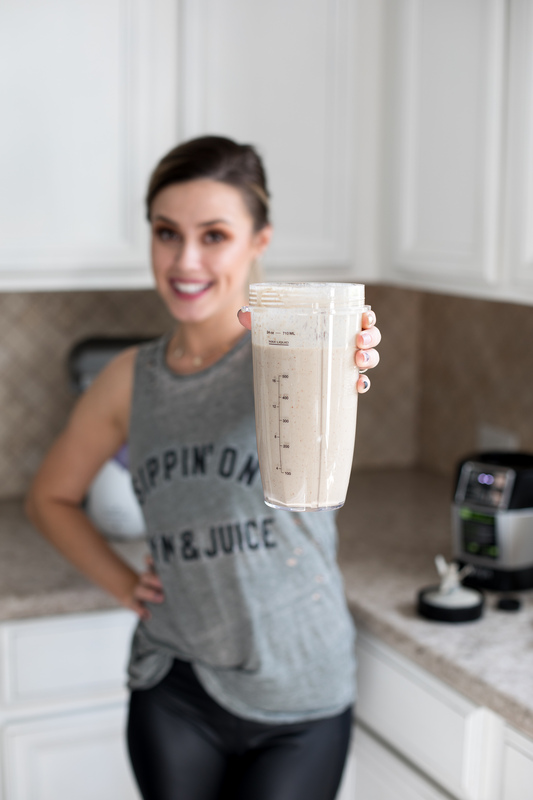 To make this protein shake even sweeter, I am teaming up with Canvas to help you save a little $$$! You can save 15% off first time purchase with Canvas, use code: ELLY15. 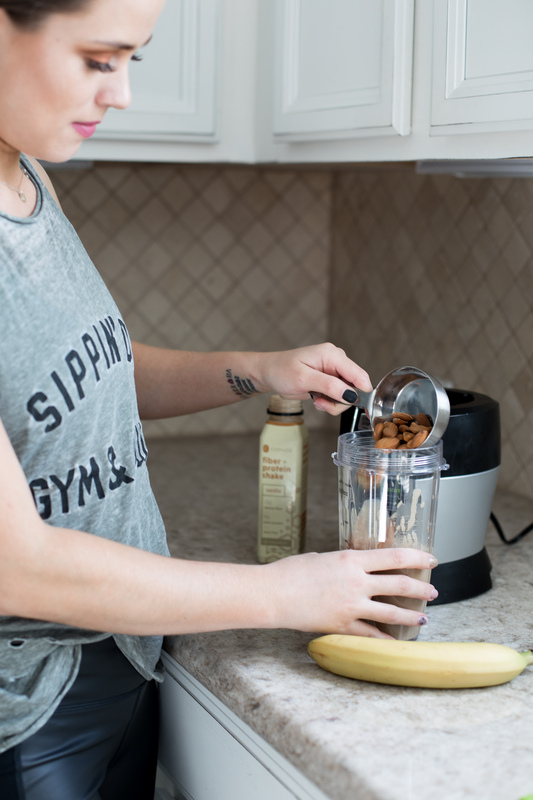 You can thank me later when this becomes your new favorite fiber+ protein shake. You are so welcome Rossy!